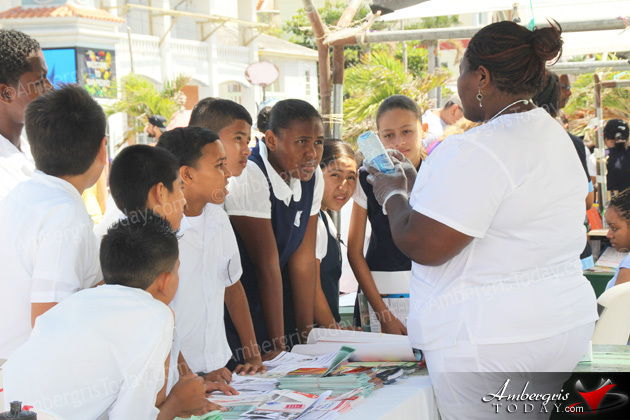 On Friday, May 10, 2013, the first ever Public Service Information Day was held in San Pedro. 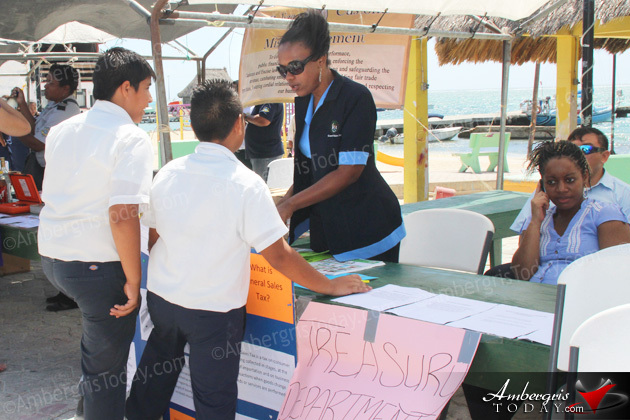 It was a countrywide campaign which started in Belize on Thursday, May 9, 2013; it is a day where government departments proudly put their services on display. Being the first ever Public Service Information Day held on the island, the fair kicked off with a short, yet meaningful ceremony. His Lordship Mayor Daniel Guerrero delivered the welcome address where he emphasized the importance of all public officers and the excellent and hard work they have each day. Minister of Public Service and Elections & Boundaries, Mr. Charles Gibson, addressed those in attendance and stressed on the importance of celebrating and honoring public workers. He stated that it was the eighth year that public service information day is being celebrated in Belize since it was internationally recognized in December 2002 by the United Nations that Public Service Day would be celebrated yearly on June 23. Delivering the Vote of Thanks was Mr. Hector Alamilla, postman at the San Pedro Post Office. 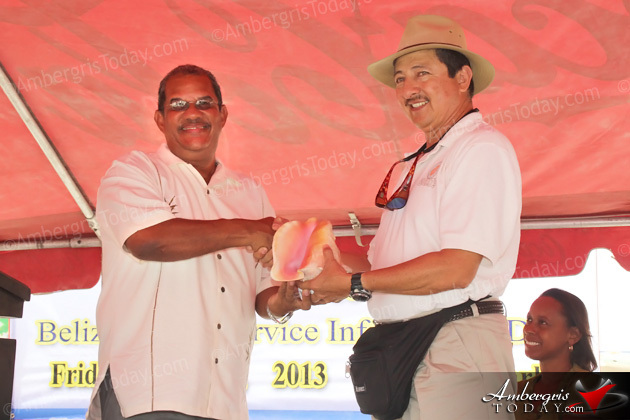 Mayor Daniel Guerrero presented a gift to Mr. Charles Gibson as a token of appreciation. 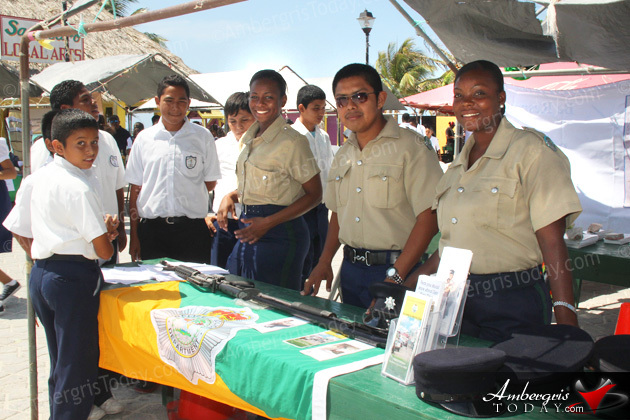 Students from different schools were invited to attend the fair and learn about the important role each department plays. Public Service Day is a global observance and not a public holiday. On December 20, 2002, the United Nations General Assembly designated June 23 of each year as United Nations Public Service Day. It encouraged member states to organize special events on that day to highlight the contribution of public service in the development process. This day was created to: celebrate the value and virtue of public service to the community; highlight the contribution of public service in the development process; recognize the work of public servants; and encourage young people to pursue careers in the public sector.